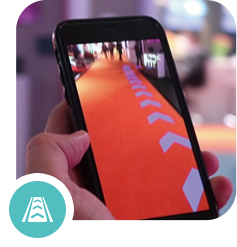 Augmented Reality is now a Reality… AR brings a new human interface to react to imagery in the user’s environment, especially in an environment the user is not familiar with. 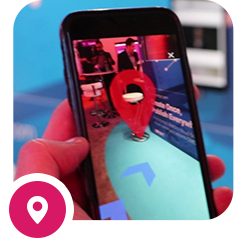 It can be difficult for users to locate an object that’s not positioned onscreen, and a mobile AR app could help users navigate to those objects easier, and with a clearer direction to start. 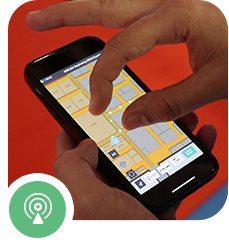 Make it easy for visitors to find their destinations throughout the route with a super-imposed pathway solution through the phone’s camera. Great potential for smart buildings, retail, education, and any public use facilities. Promoting anything within the real world when they point their phone camera to a location based on their proximity. 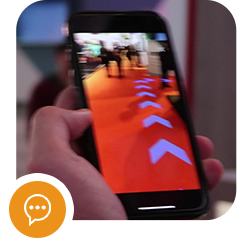 With the 22MILES wayfinding app and AR plug-in, as an individual walks a retail environment for instance, the app could recognize a print catalog or a piece of furniture and then have virtual super-imposed animations (i.e. pop-ups, spaceships, talking coupons, live floating ratings, video ADs, etc.) emerge from the catalog and placed in the environment. 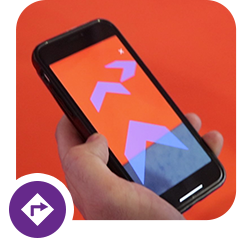 AR doesn’t only offer visual cues, but also audible feedback. It could greatly improve a mobile app’s accessibility. This can be a powerful new solution for ADA requirements and benefits. With image recognition on your route the 22MILES features can do much more. 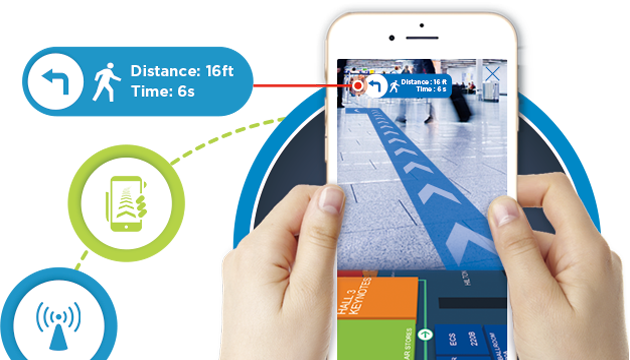 Include images or video pins into the wayfinding floor plan of 22MILES map module and be able to have the AR solution recognize in real-time your positioning and either reroute you or provide a super-imposed videos to that location.